The building served in the days of Ottoman and the British rule as the residence of the "Kaim-makam" (the ruler assigned under the occupation of ottoman empire), later the Saraya became the city hall of Nazareth. 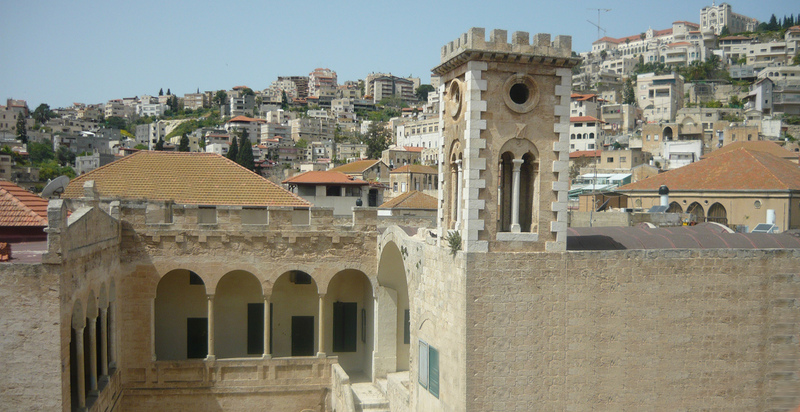 It is planned that the building will be renovated into the museum of Nazareth. Nearby El Saraya building there is the Saraya Gallery, a gallery for arts that hosts special art exhibitions for painters and artists from all over the world. The paintings on the ceiling and walls of the gallery are very impressive and shows (like many old houses in the old city), the wealth of the residents of Nazareth in the early 19 century.